For all the men who are feeling a little disheartened at the lack of male grooming product reviews, do not fear. Beauty Resource is here to fill the void. After all, it isn’t just women who deserve to be pampered, especially as we wave goodbye to summer and say hello to blustery mornings and rainy afternoons. Men who have a case of the winter blues and need a little TLC, must pay a visit to Molton Brown so they can peruse over the great new range of products they have just added to their already excellent men’s collection. Although this collection was designed for men, there must have been women on the team because the scents are enough to make any women go out and buy the entire range for their boyfriends and husbands. 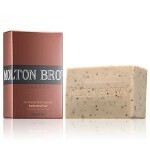 There is so much to choose from but the re-charge black pepper range really stands out with its unusual but deep scent. There is body wash (£16), body hydrator (£16), body bar scrub (£12), eau de toilette (£35) and shave oil (£17) to choose from, all in traditional but stylish packaging. They have even gone out of their way to name their products in a way that men will feel at ease with. Would a man rather have a sumptuous silk lathering body wash on his sideboard or just a body wash? Although Molton Brown products are at a high price point, they deliver quality that simply couldn’t be achieved by budget lower value brands and besides, we all deserve a little luxury now and then…even the men!